Clipper is a circular plastic connector with 1/2 turn bayonet coupling allowing a quick connection to the system. 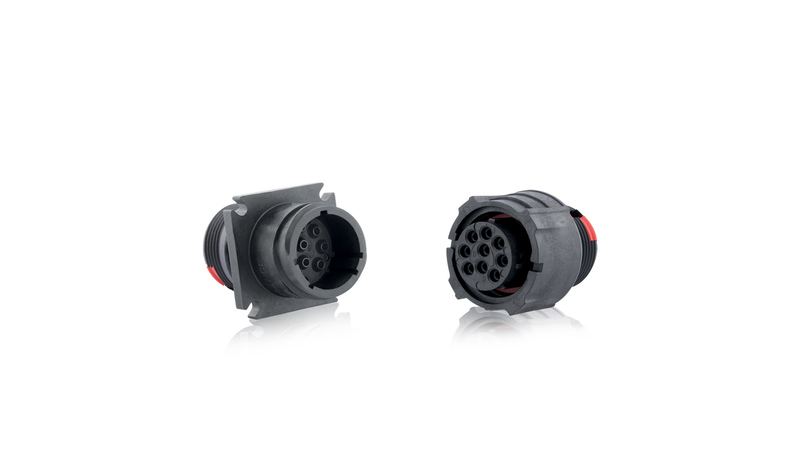 Clipper connectors are compliant with IP68/IP69K sealing and major electrical IEC and UL standards which guarantee secured connection conditions to users. Due to waterproof, corrosion proof and UV resistant capabilities, the Clipper series provides a long outdoor life expectancy even in corrosive environments. Within the Clipper series, a large choice of layouts provides the possibility to mix within the same connector signal and power. Available with a large choice of accessories from single wire sealing to flexible conduit adapter, we have a solution to your termination requirements.